Online ordering menu for Shang Hai. 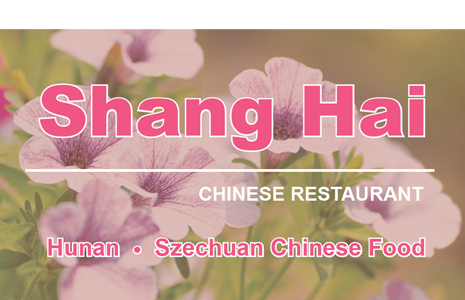 Welcome to Shang Hai, one of the best spot in Charlottesville to get some fresh and delicious Chinese food. We have Sweet and Sour Chicken, Imperial Shrimp, Hunan Beef and Moo Shu Pork, so many choices on our menu! Store located in Pantops Shopping Center, in the same plaza with Food Lion. We are next to all the car dealership along Richmond Rd, and 3 minutes drive from Downtown Charlottesville. Order online today for delivery or pickup!